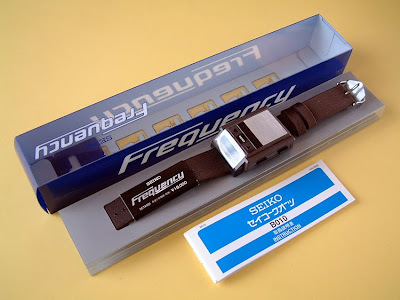 "Rare digital watch made by Seiko called FREQUENCY. 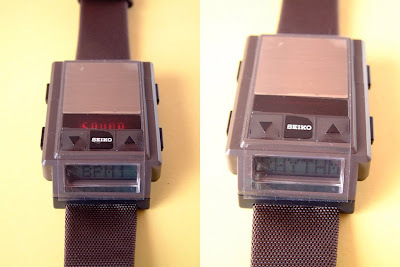 FUNCTIONS: chronograph, alarm, calendar, metronome, BPM counter and built in DRUM MACHINE!!!. Ideal for musicians, DJ's and collectors. 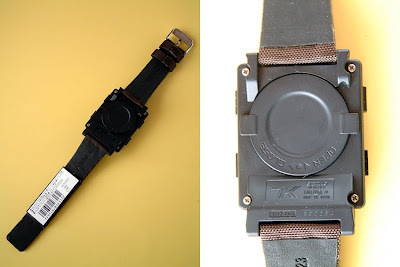 Has 2 displays on the watch. 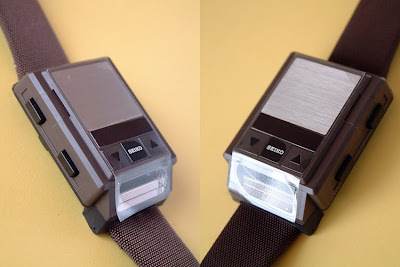 One is LCD on the front, the other is red LED on the top. Other colors on Ebay here.